COMEDK UGET Result 2017 has been released through online mode on 29th May 2017. The Result is available under applicant’s login. Along with the results, UGET Rank Card has also issued by the authorities. Students can download the COMEDK UGET Rank Card from the official website. No hard copy of rank card will be given to the candidates. Without the Rank card, the students will not be allowed to attend for the counselling section. Students whose names appear in the rank list will be called for COMEDK UGET 2017 Counselling. COMEDK UGET Merit list will be released only for eligible candidates who had qualified in the entrance test. To know about Under Graduate Entrance Test Cut off, Seat Allotment keep log on to our website. The board will publish the final merit list on the official website. All candidates are requested to keep their eyes on the official website of COMEDK for the latest update. 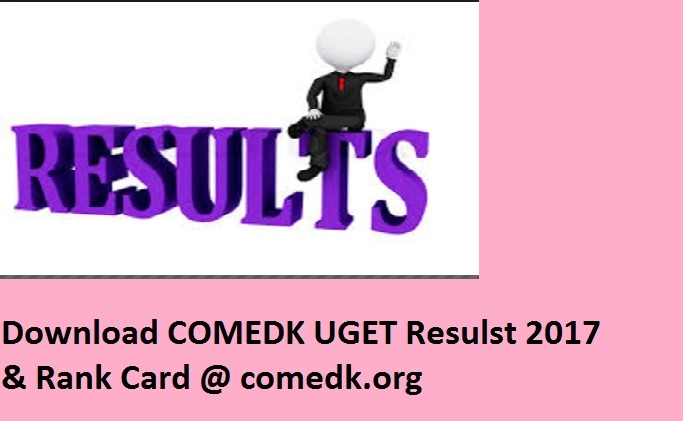 For more information regarding COMEDK UGET Results students can check through the link provided below. Click on “COMEDK UGET Results 2017”.